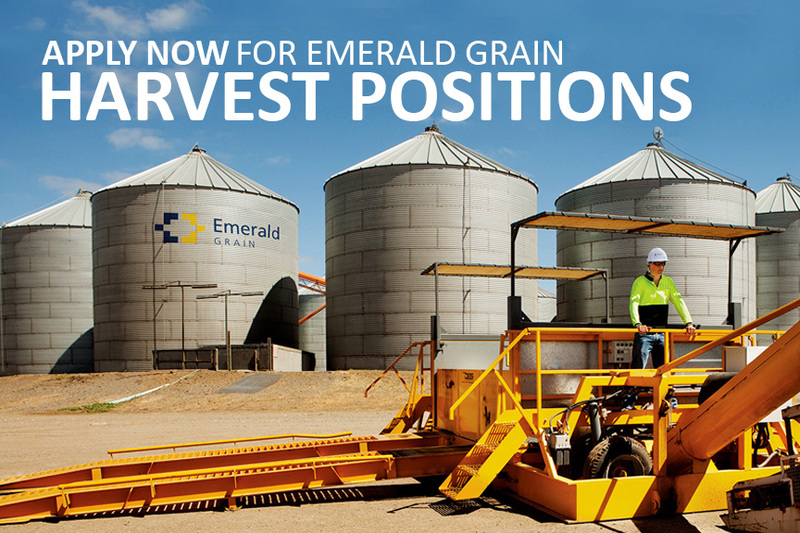 Emerald Grain has launched its recruitment program for harvest 2015 with applications for casual positions across regional NSW and Victoria open until 31 July. Emerald Grain Operations Manager Neil McLennan said Emerald Grain was looking for up to 250 casual employees to work at Emerald Grain’s receival and storage sites over the harvest period from October through to January. “Working at a receival site over harvest is an excellent way to earn some extra cash in the lead up to Christmas, and for young people it’s a foot in the door to the grain industry. Mr McLennan said all successful applicants would undertake training in areas like safety, grain classification and machinery operation before starting work. Positions in areas such as grain classification, weighbridge operation and general labouring will be available at The Rock, Coolamon, Ardlethan, Goolgowi, Elmore, Nullawil and Werneth. Potential applicants can go to emeraldgrain.com/careers to find out more and submit an application.